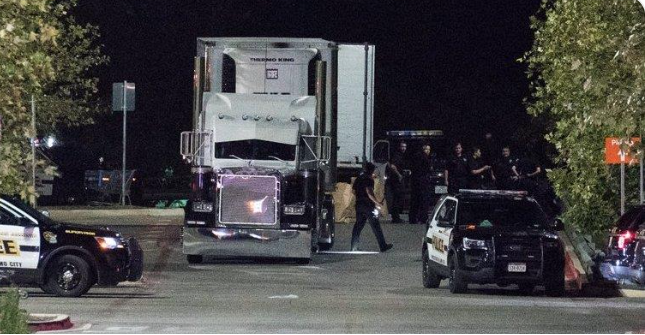 Eight people were found dead Sunday morning inside an 18-wheeler parked outside of a San Antonio Walmart in what police called a horrific human trafficking case. The U.S. Department of Homeland Security is also looking into the incident. The driver of the vehicle, who was not identified, has been taken into custody, according to Fox 29.